USA-NPN Collaborating Projects address specific aspects of the organization’s mission to collect, store, and share phenology-related information. USA-NPN Collaborating Projects address topics ranging from specific data collection efforts to the development of visualization tools. These efforts are typically short-term (lasting a few years), have specific goals, and are grant-funded. We can partner with you to engage Nature's Notebook participants in collecting observations on your target species. Through Nature’s Notebook, the USA-NPN offers scientifically-vetted data collection protocols and infrastructure, mechanisms to quickly reach out to hundreds to thousands of potential contributors, and online data download and visualization tools. In return, USA-NPN requests that partnering researchers provide Nature’s Notebook participants that contribute to their effort with periodic updates and summaries to demonstrate value of their efforts. The USA-NPN National Coordinating Office may be able to host and maintain a basic page on the USA-NPN website for your organization. These pages serve as a mechanism for members of an organization to become familiar with other phenology-related activities already taking place within the organization as well as ways to share information among others within the organization. See examples of landing pages below. 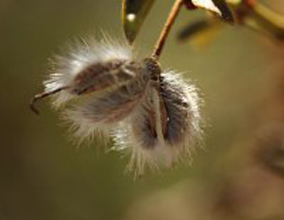 Southwest Season Tracker—Southwest Season Tracker was created to bolster the efforts of USDA Agriculture Research Service (ARS) scientists to assess and improve performance of models that predict timing of seasonal activity in common shrub and grass species. Observationswill be used to verify predicted dates of start and end of the growing season based on an ongoing six-year study of plant phenology on the Jornada Experimental Range in southern New Mexico. Walking with Wildflowers —Walking with Wildflowers is a program started by researchers at UC Berkeley that is dedicated to monitoring plant phenology along the Pacific Crest Trail (PCT) using observations from hikers and backpackers. The main goal of the project is to determine whether plant species are able to respond to changing climatic conditions and better understand how plants use seasonal cues to time flowering. Dogwood Genome Project—The Dogwood Genome Project is an effort led by researchers at the University of Georgia to identify variation in the phenology of flowering dogwood varieties and investigate the genes that may be influencing the timing of leaf-out, flowering and leaf-fall. Tucson Buffelgrass Monitoring Network—USGS scientists are collaborating with the USA-NPN to monitor "green-up" in invasive buffelgass. Buffelgrass is a perennial grass that threatens desert ecosystems by out-competing native species and altering fire regimes. Managers have concluded that efforts to eradicate buffelgrass must include applications of herbicide, which is only effective if applied when the buffelgrass is green. Pawpaw Growers - The North American Pawpaw Growers Association (NAPGA) is partnering with The USA National Phenology Network (USA-NPN) to provide an online database to encourage phenological monitoring of pawpaws in North America. Researchers hope to track the changes in distribution and life stages of North American pawpaws and provide a multi-year varietal study to improve yield, flavor, and storage characteristics. Shady Invaders—Shady Invaders was created by researchers at Penn State University to explore the timing of leaves on invasive and native shrubs. The goal of the project was to start to quantify Extended Leaf Phenology on a regional scale to understand how or if increased shading is actually impacting deciduous forest ecosystems. PopClock—Researchers at the University of Maryland worked to identify genes that could ensure tree survival as the climate changes, especially as spring occurs earlier and summer becomes warmer. As part of this effort, they are comparing ground-based observations of spring leaf emergence and fall color change, collected via Nature's Notebook, to satellite images, which they are using to create maps of “green-up” and “green-down” across large landscapes.